Cheap web hosting doesn’t have to mean bad web hosting. Learn how to pick the best WordPress host for your blog. The idea that cheaper isn’t always better may be true but there’s definitely a trade-off you need to remember with blogging. Many bloggers decide that it’s just not for them within the first three months. 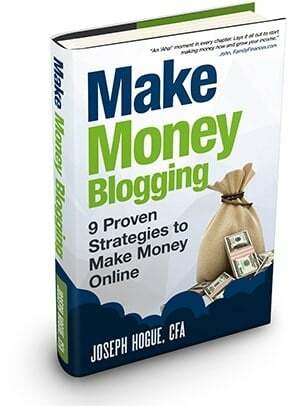 Following the posts here on the blog will help you be successful but there’s no sense paying an expensive web host plan if you decide blogging isn’t in your future. That’s where cheap web hosting plans come in handy. Buying a cheap plan for WordPress hosting to start cuts your costs and makes it easier to walk away. There are a lot of things that can go wrong with cheap web hosting. A bad web host will slow down your site and make it impossible to grow. At that point, low-cost web host or not, you’re not doing yourself any favors. 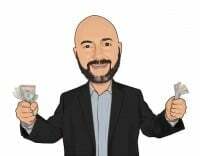 In fact, I know one freelance tech guru that makes a very good living transferring bloggers from one cheap web host provider to better options. The biggest problem bloggers find with cheap web hosts is the idea of shared web hosting. The way blog hosts can cut costs is they put multiple websites on each server, the hardware that holds sites and delivers them on the web. Some cheap web hosts pile way too many sites on each server which makes them very slow in loading when someone visits your site. Page load speed is a big factor in Google ranking so overloaded servers is not good. Even if too many blogs on a server isn’t a problem at first, a lot of cheap web hosting services max out on your site traffic quickly. Your site starts to slow down as traffic grows and you end up having to upgrade to more expensive hosting plans…they get you with cheap hosting then trap you into other plans and features. Customer service is the last straw for many bloggers on cheap web hosting plans. Even the best web hosting plans break down occasionally and you’ll need to contact customer service many times those first couple of months blogging. I’d trade a little more money for website hosting for customer service that’s quick and knowledgeable. I’ve had websites on four different WordPress hosts, three of which are from the list of cheap web hosting sites below. I’ve also talked to a lot of bloggers on a lot of other web hosting websites over the years. Picking the best web host for your blog will come down to personal preference but this list will get you started with some of the most popular web hosting sites. GoDaddy is the biggest name in WordPress hosting and offers one of the least expensive web host packages on the web. The site is able to offer cheap web hosting because of its huge volume and name recognition. It’s not all quantity though, excellent customer service keeps customers happy so the site doesn’t lose as many clients as other cheap web hosts. The basic shared hosting package on GoDaddy starts at $3.99 per month though the website is running a special offer for just $1 a month. It basically makes web hosting an insignificant cost so if you’re thinking about starting a blog, I’d highly recommend checking out the deal. GoDaddy offers higher storage for their web hosting packages, something that may not mean much for new bloggers but will be very important over time when you start adding more to the site. The larger storage and high monthly visitors supported on the basic web hosting packages will mean you don’t have to upgrade for quite a while. Customer service is also very good on GoDaddy. I started my first website in 2011 and remember calling customer support at 11:30 pm to work out some problems. Support is available 24/7 by phone which means you’ll never have to wait for that important question. The only complaint I had about GoDaddy was the website builder they offered. It’s been improved since then but wasn’t user-friendly at the time. It might be a moot point since you’ll want to use WordPress to set up your site anyway, making the GoDaddy site builder unnecessary. 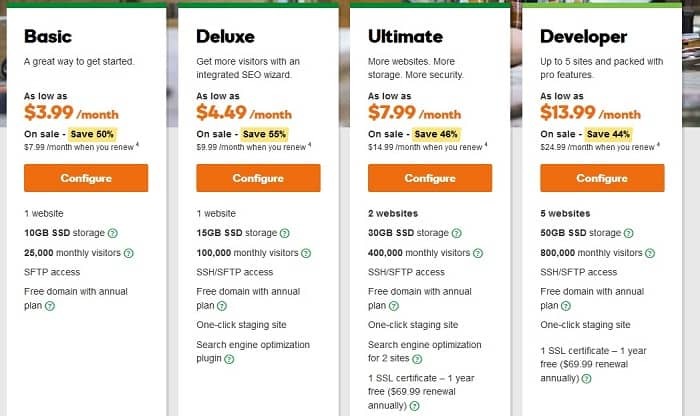 GoDaddy also limits how many sites you can create on an account, even on some of the higher price web hosting packages. It shouldn’t be an issue for your first site but may be a problem years later trying to add more blogs. Check out this special offer on GoDaddy to get your site started! 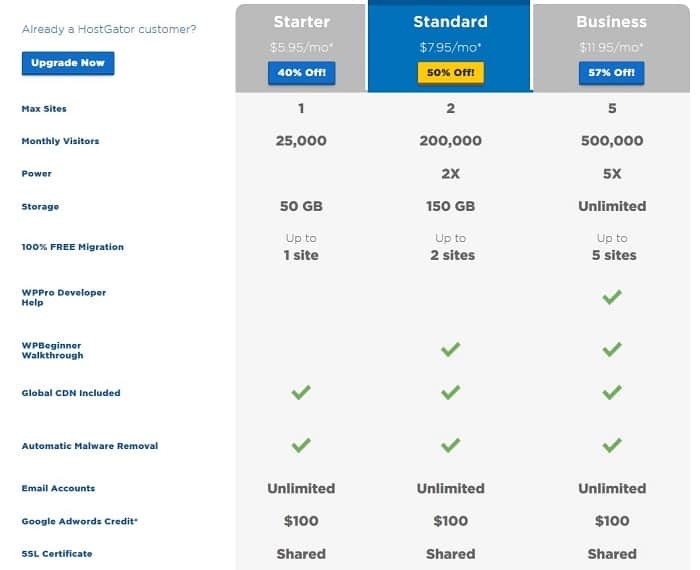 HostGator isn’t the cheapest web host but it ranks up there as one of the best website hosts for the price. 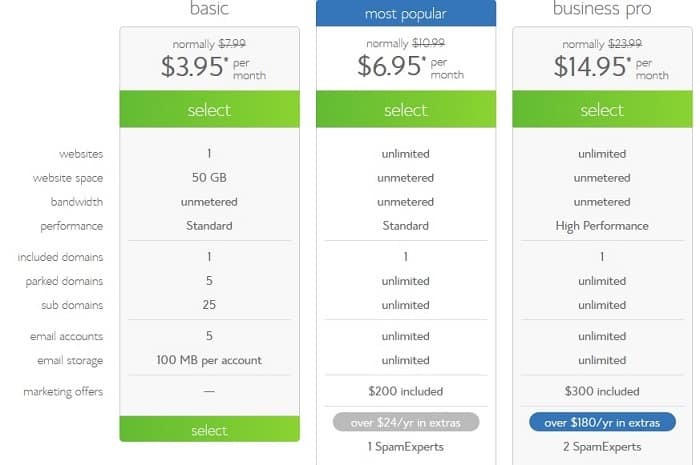 For a couple of bucks more per month, you get a site capable of handling up to 25,000 visitors and 50 GB of storage, one of the highest among low-cost web host plans. You also get $100 worth of Google Adwords credit to advertise you new blog, basically making the WordPress hosting free for the year. You may not need the unlimited email accounts at first but will need multiple accounts when you start getting help on your blog. If you start on another web host or buy a site from someone else, Host Gator will move the site over free of charge. It’s a service that could cost $50 or more to have someone do it for you so a nice feature to have if you need it. The web host also offers a 45-day money back guarantee on hosting packages which is fairly typical even among cheap web hosting sites. The best long-term feature of hosting on Host Gator is the fact that higher-level host packages support a ton of traffic. It will take years to grow beyond the standard plan limit of 200k website visitors, like a lot of years. About the only complaint I’ve heard about Host Gator is that the email system doesn’t filter as much spam as other web host providers. It’s not a huge issue but just kind of an annoyance. iPage isn’t as popular as a cheap web hosting service but offers all the basic hosting features you’ll need for your new blog. 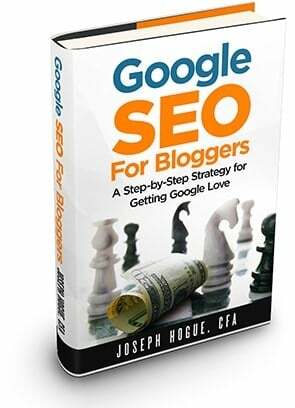 The site does as much for new bloggers as it can without just setting up the blog for them. All blogs come with pre-installed plugins and a list of popular themes. Loading these features yourself isn’t terribly difficult but it’s nice when someone can do the work for you. Unlike other low-cost web host packages, the iPage starter plan also comes with $100 in free Adwords credit. Package options on iPage are limited to the ‘starter’ and the ‘essential’ web hosting plans. The site also leaves a lot of questions unanswered as to specifics of each plan. The info is available on request but just doesn’t make it any easier to choose a web hosting plan. Blue Host is probably the most popular web hosting sites and close to the cheapest. The web host offers some unique features beyond its low cost that make up for other shortcomings. Blue Host offers unmetered bandwith which helps your site load faster compared to other web hosts which limit bandwith on most hosting packages. The service helps to make up for the fact that Blue Host piles more websites on its servers than other companies. Blue Host gives you a lot of options in how many websites you create, with the ability to park domains and have sub-domains on your account. It means you can create separate niche blogs on top of your main blog if you decide. There are two complaints I hear most often about Blue Host. First is that their servers are so overloaded with sites it causes frequent downtime. While the unmetered bandwith feature may help your site load quickly, too many sites on a server can still cause problems if any particular site gets a big spike in traffic. Customer service on Blue Host is also badly lacking. I had two blogs on Blue Host and was disappointed by the phone and chat support. Email service is decent but it can take half an hour to get someone on the phone. Still, I know a lot of bloggers that swear by Blue Host as one of the best web hosting services, especially considering some of the features you won’t get elsewhere. There are a few complaints with cheap web hosting services that you need to watch for when selecting a host. Some of these may be a problem across all the host’s services but more common is the fact that many of these are a problem with the most inexpensive plans. Slow site speed is the biggest problem you’ll have with cheap web hosting. The problem is that the company is able to sell these cheaper packages because it crams so many websites on the same server. It’s a trade off between profitability and quality. The number of websites on the server slows down the speed your site is ‘served’ up to readers when they visit and a spike in traffic at one site can take all of them down. Another problem is poor customer service at some hosts. Between waiting on the phone for half an hour to representatives that rush through your problem, really not solving it, it’s difficult getting anything done sometimes. Understand that these cheap hosting complaints aren’t a problem with every company. I’ve tried to include hosts in the list that are the right balance of cost and quality. You have to remember the saying though, you get what you pay for. Cheap web-hosting is great for getting started and not having to commit too much money before you decide if you really want to be a blogger. As your blog grows and starts making more money, you can upgrade your hosting services easily. Picking a web host for your blog is very important, much more so than most bloggers know. 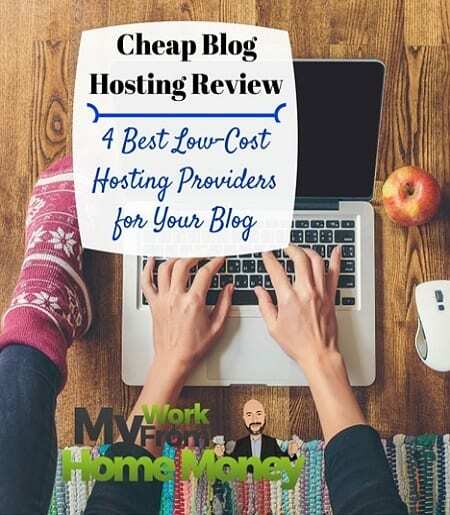 Spend a little time talking to other bloggers about some of the cheap web hosting options as well as more expensive web hosts that may be worth the money. I would recommend either GoDaddy or Blue Host for your new blog and the ability to grow into your hosting plan without sacrificing quality. There will be enough to worry about with your new blog. Focus on finding the best web hosting rather than cheap web hosting and you will be on your way to success. Your list is just awesome….they aren’t cheap only quality hosting service provider also. Awesome post!!! Well said that Cheap web hosting doesn’t have to mean bad web hosting. Most of the people decide the quality of web hosting according to its price which is not correct. Keep going and write more. I advise newcomers to study all possible hosting options well: read reviews, reviews, and also pay attention to statistics of hosting domains. 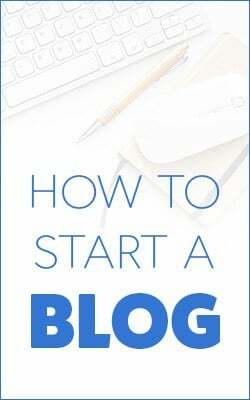 Informative post and very helpful as well for those who are planning to have their own website or blog. I would like to share it with my friends too. Keep posting such useful articles.